The greater the increase in muscle carnosine, the greater the increase in hydrogen ion buffering capacity, and the greater the effect on exercise capacity.1,2 This is of major interest to athletes and sports enthusiasts competing in events involving anaerobically fueled exercise, as well as during training, which also involves high intensity exercise. Examples include: 2000m rowing; road and track cycling; mountain biking; speed skating; ice-hockey; rugby, high intensity and weight training workouts in the gym. Today, beta-alanine is recognized as one of the most effective performance enhancing dietary supplements available; it is found naturally in the diet, is not banned by sporting authorities. Recent advancements have led to the development of new forms of beta-alanine that allow for higher dosages and remain in the body longer. For example, SR CarnoSyn® is a patented sustained release product that delivers higher levels of beta-alanine more comfortably in a single dose. Consuming sustained release beta-alanine delivers the same effect of increasing beta-alanine concentrations and enabling greater efficiency for muscle carnosine synthesis, but with little or no paresthesia-related sensations (e.g. tingling, numbness). A recent study looked at the effect of sustained release beta-alanine supplementation on high intensity cycling.3 The study was performed on twenty-five recreationally active males who were either supplemented with 6.4g/day of sustained release beta-alanine (as SR CarnoSyn®) or a placebo over a 24-week period. Every four weeks, participants performed a high-intensity cycling capacity test (CCT), and researchers measured and recorded their time-to-exhaustion (TTE). The results, presented at the 2016 meeting of the American College of Sports Medicine, showed that TTE was improved with SR CarnoSyn® at all time points. Only minimal changes were found in the placebo group. Twenty-four weeks of beta-alanine supplementation improved CCT 110 percent, likely due to increases in muscle carnosine concentration and subsequent increases in muscle buffering capacity during exercise.3 Mean muscle carnosine concentrations were still increasing after 24 weeks of supplementation. Advances in sports nutrition have spurred endless options in workout supplementing and stacking. Athletes want supplements that simplify their daily dosing while providing optimal results. Many athletes that have been using beta-alanine with excellent results for many years are now demanding more from these supplements. These new delivery forms allow beta-alanine to remain in the body being released over a prolonged period of time, which allows significantly higher dosage levels to be taken with little to no paresthesia-related sensations. Higher beta-alanine daily dosage levels lead to greater retention of carnosine in the muscle and greater retention leads to higher working capacity of the muscle. Based on the research, physiologically significant increases in muscle carnosine relevant to athletic performance are achievable within two weeks when consuming 6.4g SR CarnoSyn® per day, as compared with four weeks at a dose of 3.2g per day. However, to gain the maximum effect with any supplementation dose, this should be continued for several months. For example, 6.4g per day results in twice the increase as that of 3.2g per day. It is predicted that eventually a threshold in the muscle carnosine concentration is reached with any dosage amount where the rate of synthesis, which is still ongoing, is matched by the natural rate of decay. But, even at the threshold point, the increase above the pre-existing, pre-supplementation level will be related to the dose given and therefore, important to the overall gain in performance. 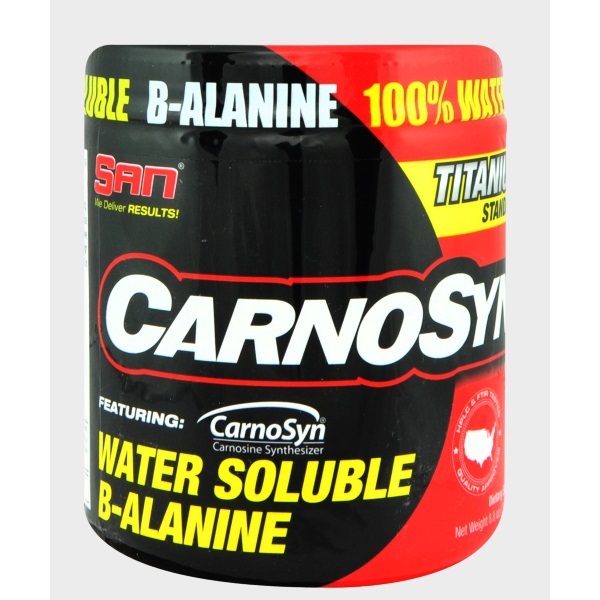 SR CarnoSyn®, because of its patented sustained release delivery form, allows beta-alanine to remain intact after ingestion and be released over a prolonged period of time, which allows for significantly higher dosage levels to be taken in a single dose with little to no paresthesia-related sensations. Higher beta-alanine daily dosage levels lead to greater retention of carnosine in the muscle and greater retention leads to higher working capacity of the muscle. Additional study information and references are available at www.carnosyn.com. Dr. Roger Harris earned a BSc and PhD in biochemistry from the University of Wales. His extensive research on creatine resulted in the description of creatine loading in muscle (Harris et al. Clin Sci, 1992), and later to carnosine elevation by beta-alanine supplementation (Harris et al. Amino Acids, 2006). Dr. Harris was formerly Professor of Sport and Exercise Science, University of Chichester, United Kingdom. He is now retired, but his research efforts continue globally. 1. Hill CA et al. “Influence of ß-alanine supplementation on skeletal muscle carnosine concentrations and high intensity cycling capacity.” Amino Acids. 2007;32: 225-233. 2. Baguet A et al. “Important role of muscle carnosine in rowing performance.” J Appl Physiol. 2010;109: 1096-101. 3. Saunders B et al. “Effect of 24 weeks beta-alanine supplementation on high-intensity cycling.” Presented at the 2016 meeting of the American College of Sports Medicine, Boston, USA. 4. Stellingwerff T et al. “Effect of two beta-alanine dosing protocols on muscle carnosine synthesis and washout.” Amino Acids. 2012;42: 2461-2472.